Pregnancy. Hmmmmm.... I'd love to say how fantastic it was, how radiant I felt, how prepared and organised we were ..... but in truth, none of the above happened!!! To start with Maya must be a ninja!! 18 weeks of feeling sick and tired resulting in 6 doctors appointment, 3 blood tests and 5 pregnancy test of which 3 were done at the doctors surgery with no explanation for why i felt so ill. I began to worry something really serious was going to be wrong with me when I thought I 'll do one more test just to be sure and there it was - two blue lines!!! I rushed back to the doctors for the 7th time with an emergency appointment and she confirmed it. I was pregnant!!! She phoned up the local community midwife team straight away and I had an appointment to meet my midwife the following day. I remember thinking of the the things I'd been doing over the past 4 months!! Including: Camping, Hiking, Lifting a 32kg dog over styles! working in radiology and chemotherapy, traveling, eating prawns - we all know how much I love prawns! odd glass of wine or two, Running a Scout Explorer troop, Moving my parents house, DIY, Painting and decorating... and much, much more! oooops!!!! On the of 7th June 2011, We went to our first midwife appointment. Our midwife was called Debbie and she was really nice. We explained about our surprise and we were really excited. She took our history and then examined and measured my tummy. I remember her looking up at us, smiling and saying 'I think you are nearly half way there!' She then used a heart rate monitor/doppler to see if she could find our baby's heart rate. and there it was after a few minutes searching the strong thudding of our little baby's heart pounding away. She booked us in for a scan at the hospital with the next available appointment which was a whole week away! 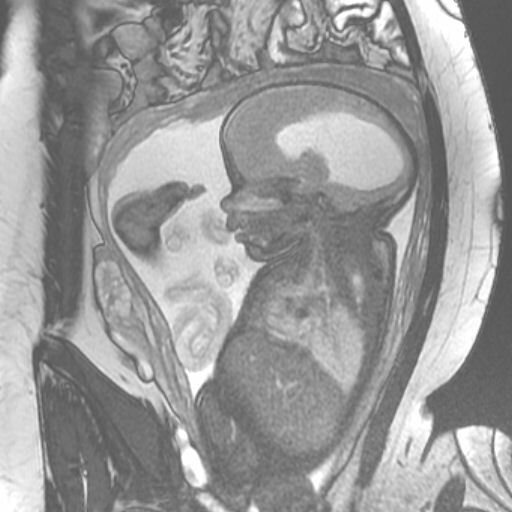 We had several scans of Maya performed during our pregnancy for diagnostic reasons. 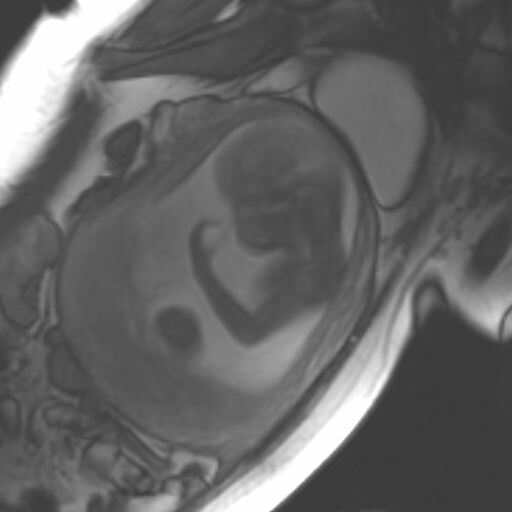 At this Scan we were told that our baby may have a medical condition and that we would need more tests and scans performed to give a firm diagnosis and a prognosis. We were that shocked and overwhelmed by this news that we even forgot to ask if our little baby was in fact a boy or a girl!! 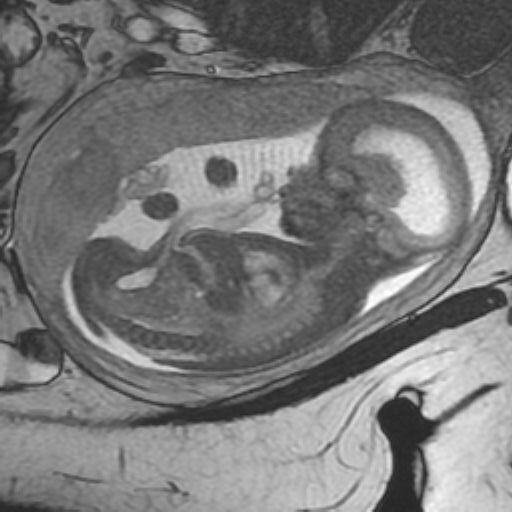 We were booked in straight away for a second ultra sound scan to be performed by specialists at st Mary's hospital, where they would be able to take a closer and more accurate look at our baby to give us more information about the condition. 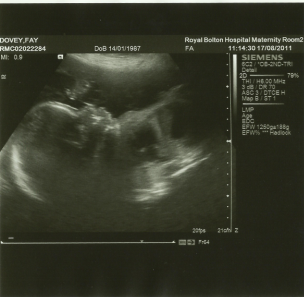 We also remembered to ask if 'bump' was a girl or a boy! We also found out that our little girl had Spina bifida. We were given details about her condition and were asked to consider our options. We went away from the hospital with very mixed feelings and lots to think about but deep down we knew along our decision was already made. With the love and support from our family and friends we hoped to give our baby girl (the very hungry caterpillar) a chance to develop into our unique and beautiful butterfly. And we named her MAYA ALICE. As soon as we found out Maya had been diagnosed with Spina Bifida we frantically started researching books, internet, magazines, videos..... anything we could get our hands on. We looked at anything and everything we could find to help us make the best start for Maya. Very quickly after starting to research we came across ASBAH - the Association for Spina Bifida and Hydrocephalus (Now called SHINE) and got in touch with our local adviser. We heard back from her within hours! They gave us so much help, support and advise in these early days and continue to do so 2 years later. In her response she gave us details about a MRI scan study that we may have been interested in taking part in. We Were. The research project is/was headed by professor of radiology Paul Griffiths at the Sheffield Hallamshire University Hospital, Sheffield. 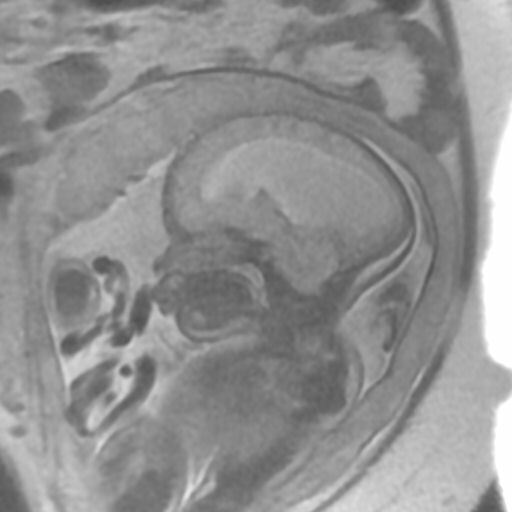 The project's ultimate goal is/was to try and introduce routine MRI scans of all pregnant women in the UK who's babies are given a diagnosis of spina bifida or hydrocephalus. 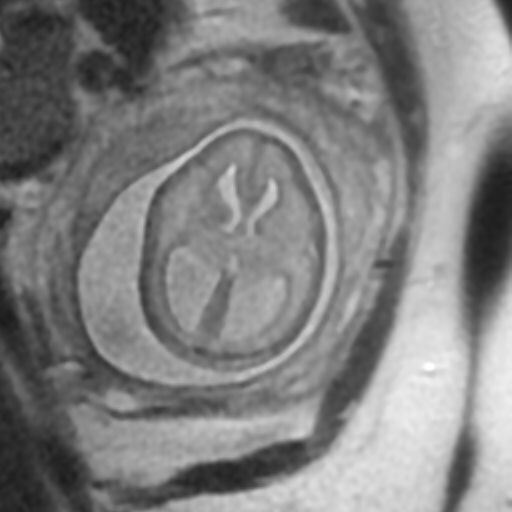 The study also looks into the accuracy of diagnosis given by ultrasound scans and hopes to provide expecting parents with more detailed and accurate information, diagnosis and prognosis about their baby's condition helping them to make informed decisions about what is best for their baby and help them prepare for the future. The study consisted of 2 MRI scans been performed on my tummy. One at 24 weeks and one at 31 weeks. The advantages for us - We got to get up close and personal with Baby Maya! 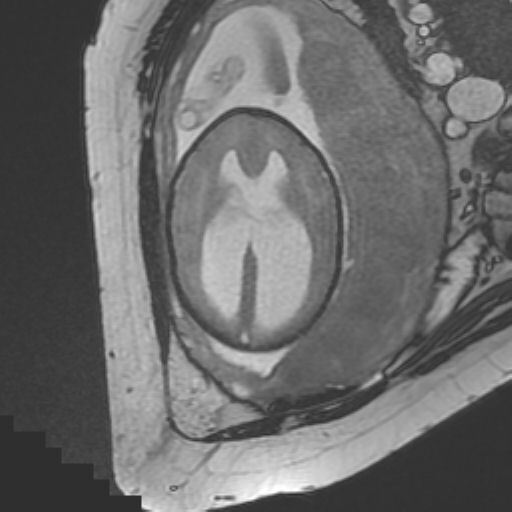 From the MRI scan we were told the position, weight and length of Maya. That all her vital organs were developing really well and that her Heart was doing exceptional well. 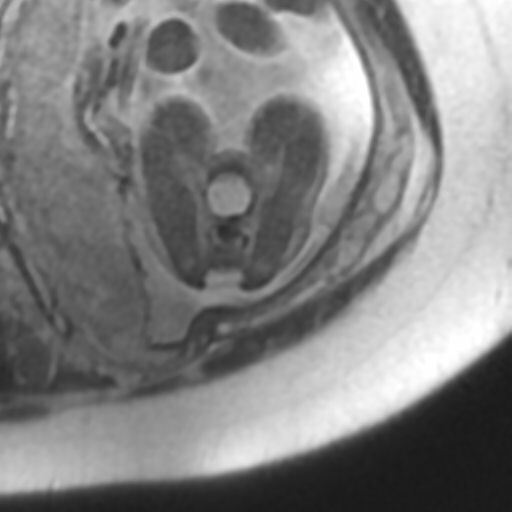 That she was showing good fetal development and was growing well with all her finger and toes. That she was unlikely to have a clefed palate. That her head circumference was within normal parameters. That her spinal lesion was around L4 but there seemed to be no sack developing and that there was a complete membrane enclosing the spinal cord with CSF. From this things were looking hopefully. 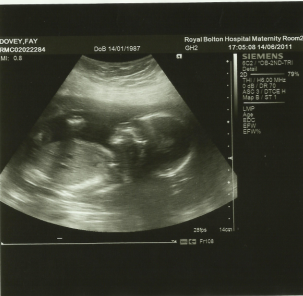 Maya Bump was doing well and we couldn't wait to meet our little girl in around 15 weeks time! The pregnancy was moving so fast!! 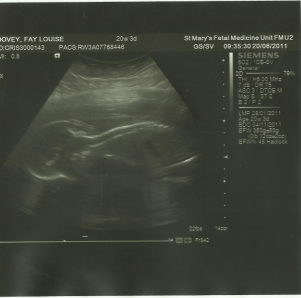 These scans were routine scans to check Maya's overall development. 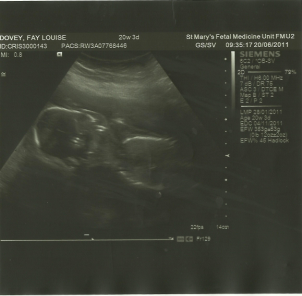 Her scan pictures and measurements were sent to our/her specialists at St Mary's, Manchester for further review. 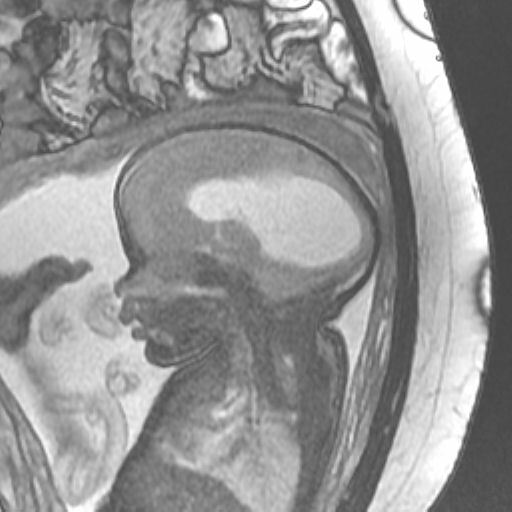 Outcome: Maya was growing really well with no real change from early scans. She was developing just like any other baby and was a good healthy weight and length for a 28 week baby. The only real concern was that Maya was still breached and was running out of room fast to turn round! Well any one who knows me, ME and RELAXING are two words that don't go hand in hand. I finally realised how much stuff we needed to do before we even started preparing for Maya's arrival!! 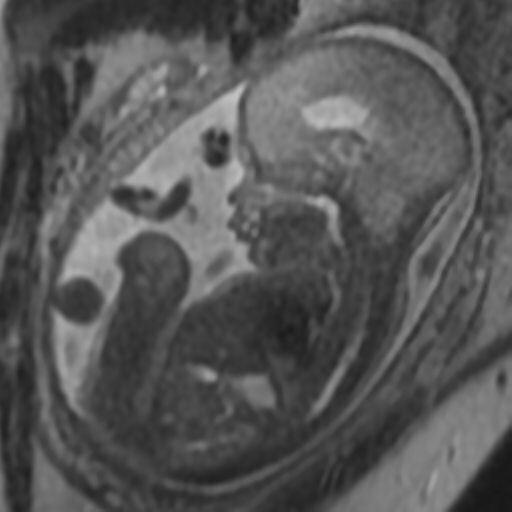 To complete the study by the University we were invited to attended a second MRI Scan at 31 weeks gestation. Here we got to see more pictures of Maya and we got a second video. This scan took over an hour to do because Maya kept moving around so much, making it really difficult to get clear pictures! Take a look at the pictures below and the video to see just how much she was wiggling! 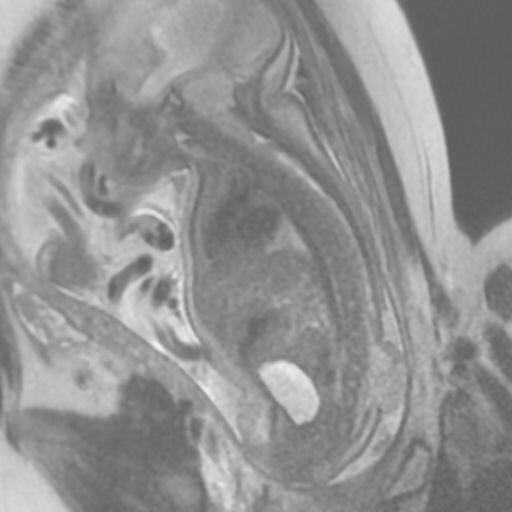 A few things where picked up on these scans about Maya's Spina Bifida and Hydrocephalus, helping us and our doctors/consultants to prepare for Maya's birth. Outcome: From the scan they could see that Maya was developing what could be the start of Hydrocephalus. That she had developed Chari II malformation of the cerebelum and that she had produced a sac at her spinal lesion where her spinal nerves protruded out of her spinal column. Our thoughts: Although things seemed a little more serious than we first anticipated and the prognosis we were given was very vague, we were still committed to our beautiful little girl and believed she was making the decision for us. If she was willing to fight - then so were we!! Well they were all a bit of a blur for all of us!! We carried on as normal for the majority of it. We'd told ourselves we wouldn't get anything for Maya ready as all she really needed was US and her loving family. We did decide however the rest of the house could do with a little sproosing up so out came the pots of paint and in came the troops and the redecorating was well on its way. Week 36 soon arrived and our next routine scan date had finally arrived. 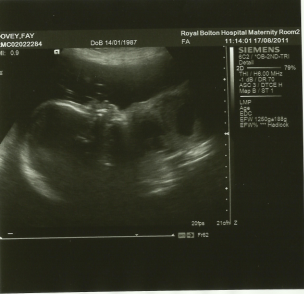 We piled into my mum's car and headed up to Bolton hospital and waited to see how big our baby girl had grown. 5 1/2 lbs they estimated!!! WOW! She really was growing well!! On the plus - I didn't just feel like a beached whale for nothing!! Her scan results were then looked at by a specialist and we were promptly called in to a consultation room to speak to our obstetrician. Maya remained in a breached position and she was running out of room fast making it virtually impossible to turn around. She was a good healthy weight and had a strong heart rate. Unfortunately Maya's head circumference had also started to go up rapidly and it was recommended that an early delivery by C-section would give her the best odds. So there it was Maya would be here in 2 days time, 1 month early by C-section!! and I remember thinking what a strange feeling it was to know her birth date would be the 12th of October before we knew what she looked like! Following this news, we went home and frantically tried to finish the house off as it suddenly dawned on us the next few days, weeks and months would be hectic and decorating/cleaning the house would be the least of our priorities! The obstetrician had booked me in for two appointments following the scan for steroid injections to help develop Mayas lungs ready for her first breaths. These were done 12 hours apart and we were told they would give Maya the best chance at surviving the delivery. We would like to take this opportunity to stress the importance of FOLIC ACID in pregnancy. By taking just one small tablet or increasing you natural intake of Folic acid by eating foods such as dark leafy greens including spinach and romaine lettuce, citrus fruits such as oranges, papaya, grapefruit and strawberries as well as other fruit and vegetables like broccoli, asparagus, cauliflower and Avocado. Beans and Lentils are also great source of folate too. Researchers and Healthcare professionals believe increasing your folic acid/folate intake 3 months before you try for a baby and during pregnancy increases your chances of having a health baby not suffering from neural tube defects. 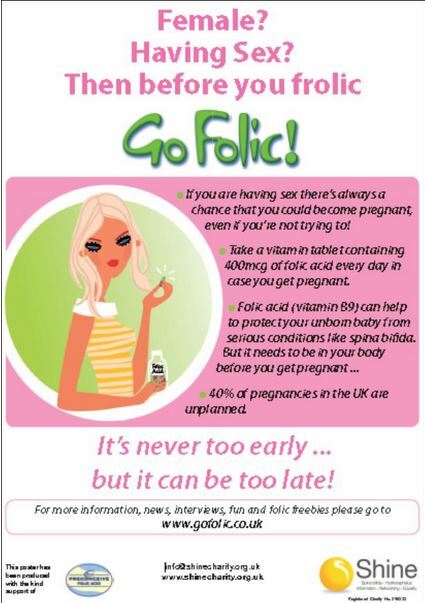 Please visit: www.gofolic.co.uk or www.shinecharity.org.uk for more information or speak to your GP or healthcare professional. Don't be like us and think no it won't happen to me. It can happen to anyone! There is currently in Britain a 1 in 1000 chance of your unborn baby having Spina Bifida myelomeningocele like Maya.